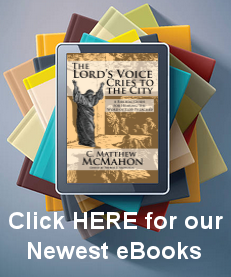 A survey of covenant concepts, the universal call of the Gospel and Definite Atonement. There are three propositions that have achieved a great deal of currency and acceptance among historians of dogma and that deserve in my opinion to be roundly challenged, the more so since one and two appear plainly mutually incompatible. They are as follows: (1) Definite atonement was not and could not be the position of John Calvin; it is a development produced by a kind of Calvinistic scholasticism for which Beza is mainly to blame. See for example R. T. Kendall and, with much better documentation, Curt Daniel and Adam Clifford. (2) The federal theology movement, which had a strong representation in the Netherlands and later in New England, constituted a softening of the original position of Calvinism and indeed of John Calvin himself. Calvin and his immediate successors viewed God as nuda potentia, one who was giving no account to anybody of his own sovereign decisions, even those that involved the eternal destiny of angels and humans either in heaven or in hell. The federal position, it was asserted, softened this harshness by emphasizing that God had voluntarily bound himself by a covenant (foedus) in which his decisions would not appear so arbitrary but would be structured in terms of a compact with reciprocal commitment. See for example Perry Miller. (3) Definite atonement and a universal well-meant offer of the gospel are incompatible; one will have to choose one or the other. Arminians, Amyraldians and others choose a universal call, while J. Brine, J. Hussey, K. Schilder and H. Hoeksema choose definite atonement and reject the propriety of a universal invitation. With respect to the second proposition, we may note that a softening of strict Calvinism, if present at all, is likely to occur in relation to definite atonement, which appears to many to be the most unacceptable of the five points. If indeed federal theology softened original Calvinism, then two implications would appear to follow. First, original Calvinism presumably held to definite atonement or else would not need to be softened. If this indeed is true, as Perry Miller thought, then we have gained the point that Calvin himself held to definite atonement and that the universalists represent a deviation from the original Reformed stance. If anyone asserts that a relatively soft Calvinism was made brittle by scholasticism, which in turn was softened by federal theology, this would require more proof than has been heretofore advanced. It would also require the acceptance of the unlikely myth of a gigantic chasm between Calvin and Beza, a myth so ably refuted by the labors of Richard A. Muller. Second, in softening original Calvinism, federal theology would presumably be eager to espouse universal atonement, as M. Amyraut did. Brian Armstrong sees a notable indication of this in the fact that Amyraut held to three covenants rather than two. But a study of federal theology will evince the following facts. J. Coccejus, viewed rightly as the initiator not of a covenantal outlook but of a study of theology along lines of the history of revelation, nowadays called Biblical theology, strongly affirmed definite atonement. This may be found explicitly in his Summa Doctrinae de Foedere et Testamento Dei. In chap. 5 he devotes 48 paragraphs, out of a total of 650 for the whole of Christian doctrine, to the question “For whom did Christ provide surety?” 3 This is confirmed in his comments on passages like 1 Tim 2:4 and 1 John 2:2. In correspondence with A. Rivet and the theological faculty of Leiden he expressly disagreed with Amyraut. A strong articulation of the Biblical doctrine of the covenant of grace is to be found in many Reformed confessions and theologians, recognized as orthodox both by those who agree with them and by those who differ from them. I will mention here only a few names: F. Turrettini, J. H. Heidegger, F. Gomarus, G. Voetius, S. Maresius, P. Molinaeus, F. Spanheim, S. Rutherford, T. Goodwin, J. Cotton, F. Roberts, J. Owen, C. Hodge, A. A. Hodge, B. B. Warfield, W. Cunningham, J. Buchanan, G. Smeaton, H. Bavinck, L. Berkhof, A. Kuyper, G. Vos, R. L. Dabney, J. H. Thornwell. All of these and more, together with the Westminster Standards, the Savoy Declaration and the Second London (Philadelphia) Confession of Faith, held to definite atonement. With respect to the third proposition I offer the following discussion. It should be obvious to any reader of the NT that the call of the gospel is universal in character. It is universal in its range: It applies to people taken out of every nation or category of humanity. It is universal with respect to time: It applies to the whole period from the coming of Jesus Christ to the end of times. It is universal in its distribution: It must be presented to everyone we can reach without any distinction. To suggest that there are certain prerequisites to be fulfilled before one can be addressed with the call of the gospel is very mischievous. The only prerequisite Scripture knows is that one should be a member of fallen humanity, and this applies to every man, woman, or child who can at all be reached with the good news of the gospel. It is not the purpose of the present article to attempt to give a full substantiation of this great truth. For the present purpose it will suffice to point to two categories of passages that make the universality of the gospel abundantly clear. There are a number of passages in which the precise scope of gospel preaching is stated in Scripture. Among these one might quote Matt 28:19: “Make disciples of all nations.” Notice the fourfold use of “all” in vv. 18–20: “all authority,” “all nations,” “all things I commanded you,” “always.” Luke 24:47 states that “repentance and forgiveness of sins will be preached in his name to all nations.” Acts 17:30 affirms that God “now commands all people everywhere to repent.” These are unmistakable expressions of a universal design in the proclamation of redemption and the calling of men and women to repentance and faith. A large number of passages show clearly that not all who are exposed to the call of the gospel will in fact be among the redeemed. Many passages assert specifically that some who are “called”—that is, are invited in terms of the gospel message—will harden their hearts and refuse the entreaty of the gospel of grace. Examples may be found in Luke 19:42 and Matt 23:37 where our Lord laments over the hardness of the people of Jerusalem who refused to respond to the call of God issued through the presence of Messiah. In John 3:19 the verdict is: “Light has come into the world, but men loved darkness instead of light because their deeds were evil.” Here again light was presented to many who in the end chose to remain in darkness. In Matt 11:21 ff. and in parallel passages our Lord complains of the hardness of heart of Chorazin, Bethsaida and Capernaum to whom the gospel call was addressed but who rejected it. The events of the life of Christ and of the apostolic period surely give evidence of the principle set forth by Jesus: “Many are invited but few are chosen” (Matt 22:14). Since, then, the gospel call was addressed to some who did not respond positively, it is plain that the extent of the call is greater than that of the appropriate acceptance. The second series of passages therefore may not by themselves prove universality, but they do manifest that there is propriety in a call addressed to people who do not respond. When the matter of the scope of the call is brought into relation to the scope and design of the atonement many feel that a difficulty looms on the horizon. If God intends to save some and has made provision for those only, is it appropriate to extend a call to some who are not encompassed in the saving purpose of God? To act in this way, on God’s part, is claimed to be insincere since he would be perceived as issuing a call when he has no intention to receive into his fellowship some whom he nevertheless invites. On the part of those who preach the gospel, it is thought that to address a universal call is presumptuous since that would be extending an invitation in God’s name to people whom God does not in fact invite. This line of reasoning has led to two very different varieties of approach to the issue. Some very strong Calvinists, keeping a firm hold on the particularistic elective purpose of God and on the definiteness of the atoning work of Jesus Christ, have concluded that no call can rightly be offered except to the elect. Unfortunately this view, advocated by men of the caliber of Joseph Hussey (1660–1726), John Gill (1697–1771), John Brine (1703–1765) and, in more recent times, Klaas Schilder (1890–1952) and Herman Hoeksema (1886–1925), runs in direct conflict with the strong evidence previously alluded to, to the effect that the call is broader than the acceptance and is in fact universal. The work of evangelism and of missions within that frame of reference is painfully constricted. If there is one comfort in the presence of such a phenomenon it is that people of that ilk usually fail to reproduce themselves and therefore they do not threaten for a very long time the integrity of the gospel. Others, recognizing the Biblical character of the universal gospel call, have sought an argument there against the definiteness of the atonement. Here we find a great company of thinkers from varying backgrounds, some Eastern Orthodox, some Roman Catholics, many Lutherans, many Arminians and some hypothetical Universalists in the Reformed churches. With one voice these people say that since God’s gospel call is universal, provision made by Christ must be universal as well. It is therefore incumbent upon those who hold to the doctrine of definite atonement to consider this matter with care. Perhaps the best way of considering this issue may be to attempt to assess the precise ingredients that are indispensable for a well-meant offer. The purpose that we pursue here therefore is to consider the subject of offers in general and specifically to examine whether certain features that some deem indispensable for sincerity in the offer of the gospel are in fact indispensable in offers of any kind. This plan of investigation surely appears legitimate, for it is not enough to appeal to some sentiment or presumption is raising the argument. But those who wish to point to a disparity between the universality of the offer and the definiteness of the atonement should be prepared to show that on these terms something is lacking that must be rated an indispensable component of any well-meant offer. It is our purpose to proceed therefore by analyzing offers at the human level. It must be noted even before we start that the analogies we shall draw have very real limitations. Indeed they are drawn not for the purpose of representing the fullness of the gospel ministry but merely in order to focus on that which is basic for a sincere offer of any kind. It will not do therefore in criticizing this approach to say that the analogies are derived from a type of activity that ranks low on the scale of moral values, or that they are commercial in nature, or that God in his immensity transcends the limitations found among men. All of this may be true, but the point of the analogies is to emphasize that we cannot insist, when dealing with offers on God’s part, upon requirements that do not apply in the whole subject of offers in general, or at lest we cannot so insist unless we are prepared to show why on God’s part these additional requirements should obtain. This is the point of the analogies that are now going to be presented. Let us imagine an offer appearing in The Boston Sunday Herald Advertiser, issued by Sears, Roebuck and Company, illustrated and highlighted with large print. In it Sears offers a two-cycle Kenmore automatic washer at a cost of $157. Now The Boston Sunday Herald Advertiser is issued with a circulation of some 300,000 copies. Shall I conclude that Sears has gathered within its Boston area 300,000 washing machines of this type in order to make provision for the offers that it has issued, or shall I judge that it is guilty of unethical practice if it has failed to stock this number in its Boston warehouse? Undoubtedly not! Anybody with an ounce of sense knows that companies do not accumulate as many objects as they distribute advertisements. This is perfectly obvious in the case of Sears, Roebuck and Company because on that same page they may offer also some electric dryers, some refrigerators and some color television sets, and to imagine that they store 300,000 of each of these appears utterly ludicrous. We would assume of course that they have a considerable quantity of these since they go to the trouble of advertising them. How many of these they might stock is a matter of internal administration of the company, which is really not subject to the inquiry of the customers. Now of course if these are “come-ons”—that is, sample objects of which they have a very few specimens available and that they use to attract people into their stores, not meaning to sell them at the price stated but intending to use them simply as a lure—then a charge of sharp practice could probably be leveled at the company. But in the present situation there is no evidence whatever that this is the case. All that the customer really has the right to expect is that if he/she appears at any of the stores listed within the time stated and with the appropriate amount of cash he/she will be sold the object advertised at the price stipulated. No coextensiveness of provision applies here at all, and it is difficult to see why one should be prone to insist on coextensiveness in relation to the offer of salvation. Even though the above point may be conceded, and coextensive provision need not be requisite for a well-meant offer, some opponents urge, an offer cannot be held to be sincere unless there is some expectation that it may be favorably answered. This expectation cannot be present if God has elected some of mankind and sent Christ to die for them only. We need not spend much time on this objection, which, if at all valid, would be quite as damaging to the Roman Catholic, the Eastern Orthodox, the Lutheran, and the evangelical Arminian as to the Calvinist, since all alike hold that God foreknows all things and would be unable to offer the gospel sincerely to those he knows will refuse. Returning for a brief moment to the illustration given under the first point, we may indicate that the firm advertising the washing machine does not at all expect to receive several hundred thousand customers for it as a result of its ad. They probably will be quite satisfied if a hundred or more appear in response to it. If total expectation were necessary for a sincere offer, very few offers could be publicized. We conclude therefore without further discussion that a coextensive expectation is not an essential prerequisite for a sincere offer. The greatest difficulty in the path of the sincerity of the gospel offer on Calvinistic terms, it is urged, lies in the fact that those whom the offer reaches are seen as totally unable to respond in their own strength. Unless God creates in them a new heart and energizes them to repentance and faith, they simply cannot respond to the invitation of the gospel. To make this offer, therefore, is a cruel mockery for their plight, comparable to the action of a man who would encourage people in a house for the blind to come and admire some pictures. If an offer is sincere, it is urged, the one who makes it ought to assist everyone whom the offer reaches to the utmost of his/her ability. If God did not do that for all humans, his offer of the gospel could not be called sincere. In response to this we might say that one can scarcely recognize any truth at all in this line of argumentation. A firm that advertises does not have any obligation to assist anyone in securing the objects that are publicized. In most cases no such help is offered. In some cases some help is offered to some, but those who are not assisted may not on that account say that the advertisement was not sincere with respect to them. To introduce into the discussion the concept of assistance is to inject an element that is quite foreign to the question at hand. It may be noted in any case that the disability under which sinners labor is not forcibly produced by direct action of God but is self-induced so that they, rather than God, are rightly charged with their own plight, dramatically revealed in their obduracy in the presence of the gospel call. We conclude here again that utmost assistance is not an essential prerequisite for a sincere offer. And now we ask: “What is the essential prerequisite for a sincere offer?” Simply this: that if the terms of the offer be observed, that which is offered be actually granted. In connection with the gospel offer the terms are that a person should repent and believe. Whenever that occurs, salvation is actu-ally conferred. There is not a single case on record in the whole history of mankind where a person came to God in repentance and faith and was refused salvation. This our Lord specifically promised: “Whoever comes to me I will never drive away” (John 6:37). If the question be raised “Who is going to come?”, the answer is “All that the Father gives me will come to me” (John 6:44). Far from undermining the sincere offer of the gospel, the doctrine of definite atonement undergirds the call. It provides a real rather than a hypothetical salvation as that which is offered. It does not expect the fulfillment of an unrealizable condition on the part of the sinner as a prerequisite for salvation. But it confidently looks to God who initiates the offer and can also raise sinners from death to life and thus enable them in sovereign grace to repent and to believe so that they will appropriate the benefit secured for them by the death of Christ. If it be asked in what terms the offer of the gospel must be presented and whether it is appropriate prior to any response on the part of sinners to say to them “God loves you with redemptive love” and “Jesus Christ died for your sins,” the answer to the query must be that these forms of language are not strictly legitimate unless there is some assurance that the people involved are in fact among the elect. It is better to say “God in his unfathomable mercy has been pleased to love sinners such as you and me, and he invites you to repent and believe in Jesus Christ. If you do so, you will find that the work of Christ avails for you, and you will be saved.” There is no need to fear that anyone responding to this call in terms of the invitation and exercising true repentance and faith will ever find that somehow God has made no provision for him/her and that salvation cannot be granted. Thus in respect to the form of invitation those who hold to universal atonement do not even have a very substantial advantage, although it is true that they feel free to express themselves in ways the upholders of definite atonement must feel obliged to avoid. It would not be difficult to enumerate individual theologians who have given expression to the same conviction, but this appears superfluous at this point. We sometimes hear that all evangelists and missionaries have held to a doctrine of universal atonement and that this is what has given them confidence to excel in their calling and to address to men and women a universal call of the gospel. But this is simply not true. Surely George Whitefield must be recognized as an evangelistic preacher of the first magnitude; and so was Jonathan Edwards, under whose ministry the great awakening originated; and so was Charles H. Spurgeon, who was probably unrivaled in his day for his evangelistic zeal and effectiveness. It would be easy to list missionaries like William Carey, John Paton, David Brainerd and many others who were devout Calvinists. The allegation, therefore, that a doctrine of definite atonement interferes with a proper development of zeal in evangelistic and missionary endeavors is simply not supported by the facts of history. Meanwhile, since there exists always a temptation, even for the Christian, to proffer excuses for his laziness, those who are Calvinists need to be careful not to allow themselves this pretense as a pillow of laziness. As indicated above, it is really the Calvinist who has in his theological approach the best basis for making a real offer, and on that account he should be most zealous in the proclamation of the gospel.